If you have a question about solar hot water not covered below, please feel free to contact our friendly team – they’ll be glad to assist you! Don’t forget to check out our great range of solar hot water systems and solar hot water rebate information – you can even get a free, no-obligation quote online! Now, our solar hot water FAQ. What is the advantage of using solar hot water systems? Solar thermal energy is used widely in Australia for heating water for domestic use. This is an excellent and economic solution and by using the sun’s heat for generating our hot water, we reduce the amount of fossil fuels needed to be burned (and the associated greenhouse gas emissions generated) to supply electricity to do the same thing. Solar collector(s) are located on the roof structure, facing in a northerly direction. The sun heats the water in the collector, which then goes into a tank. While in the case of flat plate systems the tank may also be on the roof; with evacuated tube collectors, the tank is usually stored at ground level. The hot water rises naturally in the tank – this process is called thermo-siphoning. This water is then made available to the house, either through a gravity feed or a pump. The colder water at the bottom of the storage tank then travels into the collector and starts to heat up. This process is a continuous cycle and can save the average household up to 75% of their hot water energy requirements and related greenhouse gas emissions. Learn more about how solar hot water works. the ground, usually located close to one of the major hot water consumption areas such as the bathroom. The sun heats the water in the collector and once the water reaches a desired temperature, a sensor device activates a circulation pump that starts to pump the hot water into the storage tank on the ground. The pump also pumps the cold water from the bottom of the storage tank into the collector(s). Learn more about how solar hot water works. How do the roof mounted and split systems compare? The energy benefits of the two systems are about the same. While the heat loss is less in the split system as the tank is not as exposed to the elements as the roof mounted tank, some additional energy is required to operate the low wattage pump in the split system. The decision of which system to use comes back to structural design of the roof, personal taste and ease of access for servicing. Energy Matters offers a wide range of roof mounted and split systems. Which is better – flat plate or evacuated tube collectors? shift to this form given its vastly improved performance and durability in all sorts of conditions – you can see a comparison and efficiency data in our article on flat plate vs. evacuated tube collectors. A heat pump is a little different to a traditional solar hot water system. Heat pumps use heat energy from the air around us to heat water. The basic principle of a heat pump is a reverse refrigerator. It uses a working fluid that vaporises as it extracts heat from the air. The working fluid then transfers this heat to the water in the tank via a coil in the tank. As the working fluid is pumped around the coil, it releases heat to warm the water. The release of heat turns the vaporised fluid back to liquid and the cycle begins again. While a fridge uses the cold air and discards warm air, the heat pump uses the warm air and discards the cold air. Compared to hot water created through fossil fuel, the heat pump only requires 30% of the energy for the electricity to run the pump. Therefore, around 70% of the energy required to create the hot water comes for free from the heat in our environment. Learn more about heat pump systems. How do your solar hot water systems compare to competitors? solar hot water systems and more information on our components. federal government initiative designed to encourage the uptake of products that reduce greenhouse gas emissions. Renewable energy certificates are traded on the market by energy companies that buy them from renewable energy producers (ie. households and companies who own the systems). As part of the process, customers who purchase solar hot water systems can sell their RECs to their supplier/installer (usually in the form of a point of sale discount), or sell them independently to a buyer of their choice. How long does it take to install a Energy Matters system? installing. For instance, if you are replacing an existing solar system it will be 2 hours, but if you are replacing an existing electric or gas hot water system then it will be closer to 3 hours. Matters installer. 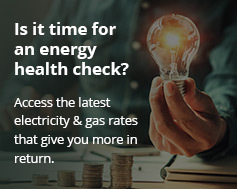 You can install the unit yourself, but the services of an authorised installer must be used if you wish to claim government rebates and if you wish to gain the maximum efficiency from the system. The collectors will need to face the equator which means if you live in the Southern Hemisphere, such as Australia, then your unit will be positioned in a north, north westerly or north easterly position. The installer will call to discuss the installation with you prior to any work being done on your home. How many people can a solar hot water system supply? Typically a single 300 litre system will adequately service a home of between 4 to 6 people comfortably; but bigger systems are available for very large households – or multiple systems can be installed. All systems come with an electric booster as standard or optional gas booster; ensuring hot water 24 hours a day, regardless of weather conditions. In addition to rebates and incentives available to substantially reduce the up up front costs; by switching to solar hot water, a family of 4 can save up to $920 a year on water heating bills! What can affect the costs of installing a solar hot water system? A base installation rate includes the solar hot water system being installed on a pitched metal roof facing north with appropriate surface area available. Additional costs will be incurred for a flat or tiled roof; any equipment upgrades and extended warranties. What happens if the system is damaged in a storm or by accident? insurance should cover it (you’ll need to confirm with your insurance company). Only the parts of the system that are damaged will need to be replaced. However, rest assured that the solar hot water system components we sell have been selected to withstand Australia’s harsh conditions year after year. What electricity or gas tariff should my system be connected to? This will depend greatly on your usage patterns – please contact our team for further information. Are state government rebates available? Most state based programs have been phased out, but incentives in the form of RECs still remain that substantially reduce the cost of a system. Learn more about rebates for solar hot water systems.